In the first of this series, we examined the changes the Environmental Protection Agency made to its Base Case, or business as usual, power sector forecast in support of its Regulatory Impact Analysis (RIA) for the Clean Power Plan Final Rule compared the Base Case it issued a few short months ago in support of its RIA for the Proposed Rule. In that post, we told you how EPA rejiggered its Base Case to predict that an astonishing 27%—78 gigawatts—of all U.S. coal-fired electricity generating capacity in existence in May 2015 would be gone in 2016. In this post, we’re going to carry that analysis a bit further and take a closer look at how EPA treats electricity generation from coal and renewables in its Proposed and Final Base Cases. In its Proposed Rule, the agency’s business-as-usual forecast using the Integrated Planning Model showed 1.67 terawatt hours (or trillion watt hours) of electricity generation from coal plants in 2030. In its Final Rule Base Case forecast, in contrast, output for coal plants in 2030 was slashed 1.47 terawatt hours. This represents a 12% reduction in electricity generation from coal plants stemming not from the Clean Power Plan, but nothing more that the agency’s change in the Base Case from the Proposed Rule to the Final Rule—a change it says was prompted by stakeholder comments on the proposed rule. The vast majority of this 200 billion watt hours of lost coal output—90% in fact—is offset in EPA’s model by increased output from renewable sources, most notable non-hydro renewables. Essentially, EPA is forecasting an almost one-for-one replacement of renewable generation for coal-fired generation. This explains EPA’s large adjustment to renewable generation. EPA’s new estimate of renewables generation in 2030 is 30% higher in the Final Rule Base Case compared to the Proposed Rule Base Case. Again, this is all sans the Clean Power Plan. Changes of this magnitude, of course, are liable to have a significant impact on carbon dioxide emission estimates. Compared to its original business-as-usual model run, EPA’s revised model run adds 235 million metric tons (MMT) in emission reductions to the already-large 150 MMT in cuts in the original baseline forecast. To show just how optimistic EPA is, in its Proposed business-as-usual forecast, power sector emission cuts were expected to amount to about 20% of the total needed in 2030 to meet the administration’s 32% reduction goal (against a 2005 baseline). EPA’s new and improved baseline now suggests that 50% of that goal would be achieved. So according to EPA, in 2030 we will have made it halfway to the administration’s goal without lifting a finger. It’s clear the administration would like to see the end of coal, but wishing it away won’t make it so. But by toying with assumptions in its imaginary paper electricity markets, EPA has shifted the burden of Clean Power Plan compliance into the Base Case so it can claim the rule is a bargain instead of a job killer. In perhaps the most telling sign of its motives, the agency can’t be bothered even to mention these massive Base Case changes in its seven-page fact sheet describing the Final Rule, presumably because it wants states and others to think that compliance won’t be so bad after all. Don’t believe it. 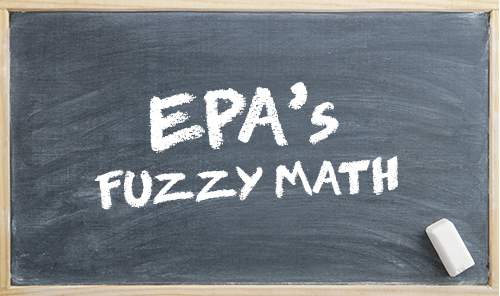 In the third part of this series, we’re going to take a look at where EPA expects to get the other half of the emissions reductions it needs to get to the magic 32% administration goal. Stay tuned. It gets curiouser and curiouser.